Has someone you love been injured, or even killed, in an electrocution accident? Are you suffering from debilitating injuries or have you not been able to continue work as a result? Did the accident take place while at work, or on the job? Don’t cope with this alone. Electricity is a very important, very useful, part of our lives. However, when it is not handled with care it can be very dangerous, even deadly. Recent reports suggest that electrocution is among the leading causes of death for construction workers in the United States. Electric shock occurs when the human body comes into contact with any source of electricity that causes a sufficient current through the skin, muscles or hair. The expression generally refers to an incident that causes injury to a person. There is serious concern for electricians because they work on or near live wires. Even though they are equipped with basic safety knowledge, electrical workers have the most electrocutions per year. They are followed by construction laborers, carpenters, supervisors of non-electrical workers and roofers. There are many causes of electrocution. For non-electrical workers, the main cause of electrocution happens when contact is made with overhead power lines. The accidents happen often because the proper precautions were not taken. Another cause of electrocutions is when contact is made with machinery, appliances, power tools or lights that have defective wiring or extension cords. There are cases where workers are in cramped areas such as attics or above drop ceilings and have little room to maneuver and accidently come in contact with electricity. Standing in water while working or having equipment that touches water are other factors. The question becomes, who is at fault? Often it is the employers or contractors that are a fault. They need to be held accountable, especially when they do not train or inform their employees properly. Has someone you love been injured, or even killed, in an electrocution accident? Are you suffering from debilitating injuries or have you not been able to continue work as a result? Did the accident take place while at work, or on the job? Do not cope with this alone. 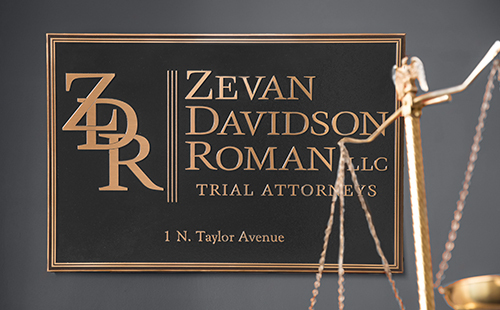 At the Zevan and Davidson Law Firm we have a team of dedicated professionals that have earned a reputation for taking on the most complicated accident cases and achieving success for our clients. Call our St. Louis Electrocution Accident Attorneys at (314) 588-7200 today to discuss your electrocution injury. If you have been wrongfully injured as a result of personal injury, contact our legal team right away. Waiting to seek legal representation can prevent you from filing a claim and receiving the compensation you deserve.